Bayero University Kano 35th Convocation Ceremony Date. Bayero University Convocation Ceremony…. 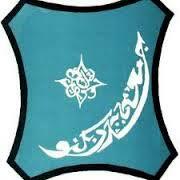 Bayero University, Kano (BUK) 35th convocation ceremony date for the award of degrees. See details below. What’s your take on this? I urge you to use this same opportunity to share this information across to others using our Facebook, twitter or Google+ share button below.